What does it mean to be outdoors and what is its significance for people? What hurdles need to be overcome for the perfect outdoor experience? Commissioned by the OutDoor by ISPO team at Messe München, the renowned Cologne-based market research institute rheingold searched across Germany for answers to these questions and investigated the spiritual core of being outdoors. The results can be used to derive specific recommended actions for outdoor gear manufacturers and specialty retailers. The participants of the “Outdoor as a human need” study were asked about their inner desires, longings, fears, and ideals when it comes to outdoor activities. The result: “outdoor” is a process as individual as the people themselves and closely connected to emotions. It is about reducing inhibitions, overcoming fears and uncertainties, and ultimately, emerging stronger from the experience. It is also becoming clear that “outdoor” is increasingly gaining importance in our fast-paced society. Providing a sense of connection, it finds its way into daily, urban life. The activities themselves can be diverse in nature, far beyond hiking, climbing, or camping. All outdoor moments are created over a number of stages, from the desire to be out in the open and planning the activities through to realization and returning home. Each of these stages is connected to emotions: fears and uncertainty combined with curiosity are replaced by euphoria when the goal that has been set is reached – be it conquering a mountain top, riding the perfect wave, or building a lakeside campfire. What remains afterwards is a feeling of strength when returning to everyday life. While “getting back to nature” is the traditional outdoor approach, which can be taken to the next level with “survival and adrenaline,” other new fields have opened up with names like “controlled escapism” and “urban warrior.” They are generally already accepted and practiced by consumers as fitting into the “outdoor” genre. The right equipment enables access to certain outdoor activities. It supports, provides protection, and, in some sports, can save lives if something goes wrong. This is at odds with the idea of going without and the getting back to nature that many associate with the term outdoor. Generally, it can be said that while functionality and quality take priority over fashion aspects, the latter serve as a decisive differentiating feature when it comes to making a purchase decision. Even after returning from the great outdoors, the equipment can continue to do its job, such as the functional jacket worn when commuting to work by bike. It also brings a bit of that outdoor feeling to everyday life and serves as an advertisement for an active lifestyle - something at the very heart of the urban outdoor concept. 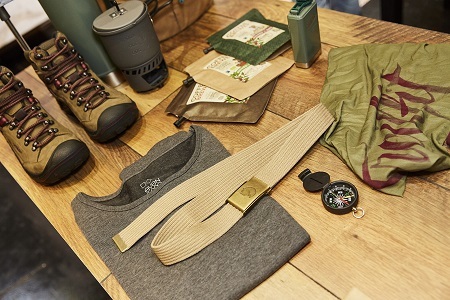 Retailers pave the way to outdoor experiences. They not only sell products, but also help consumers get started or go further in the world of outdoor activities. If the retailer approaches the customers correctly, it will take them on an adventure, right in the shop or on the website - one that takes place in the mind and awakens desires. Brands are reliable partners in this adventure through their products. The more an outdoor activity is performance-oriented, the higher the knowledge about individual brands and the easier it is to name the brands and their products. Outdoor means taking a piece of sophistication into primitive surroundings, this being more or less pronounced depending on the item of equipment. Technical equipment in particular offers a certain level of comfort: instead of maps and compasses, we have GPS devices with pre-loaded routes, and instead of campfires and torches, we use gas cookers and head torches. On the other hand, outdoor in everyday life brings the wild to civilization—and thus the feeling of strength gained from outdoor pursuits manifests in daily life, whether through small challenges such as a new route on the way to work, through memories, or the crossover of outdoor clothing, equipment, and food into day-to-day life. In their outdoor experience, people are looking for a temporary escape from everyday life, without pressure and stress. However, many outdoor brands convey something quite different in their visual language. They use images of professionals, creating the impression of performance orientation and competition. The fear of losing control due to lack of knowledge and skills, as well as external influences, can also scare off some outdoor enthusiasts. And last but not least, location can be a hurdle. Not everyone has the right outdoor environment on their doorstep. The community that can help overcome these difficulties is often perceived as exclusive and also performance-oriented. These key points lead to specific recommended actions for manufacturers and retailers to open up new target groups and optimize existing offers. It is important to create a “welcoming culture” with low barriers to entry and worlds of experience for outdoor enthusiasts at any level, through differentiated offers and holistic approaches in product development, marketing, and sales. At the same time, it is vital not to reduce the desirability of “outdoor.” Details can be found in the seven white papers that make up the study. They are available online for download. The way consumers think and behave is also reflected in the new concept from OutDoor by ISPO. It combines new outdoor segments already recognized by the public such as mountain biking, trail running, or water sports with classic activities such as climbing or hiking. All areas are presented in a highly experience-oriented manner at the annual trade fair, which is accompanied throughout the year by a support network of digital and analogue services. In conducting the study “Outdoor as a human need,” the rheingold institut took a qualitative approach. With the help of the ISPO Open Innovation community, a number of participants were asked about the topic “outdoor.” The research team used the answers to develop hypotheses, which were then discussed in two groups under the guidance of a psychologist. The results from these discussion groups then served as the basis for one-on-one depth psychological interviews totaling more than 36 hours.